It’s easy to feel sluggish at this time of year especially if you live in a country like here in the UK where it’s cold and grey. But you’re a Shaolin Warrior all year round so here’s my top five steps to keeping active and inspired over the winter months. The more you sit in front of a computer, the less you will want to workout. At the end of your working day your body will tell you that it’s tired and give you another excuse to skip your workout. But if you can motivate yourself to push through your tiredness, once you begin to move, you’ll be surprised to find that you feel energized. This is because movement and exercise unleash your body’s energy. You are born to move. You are not born to sit all day. 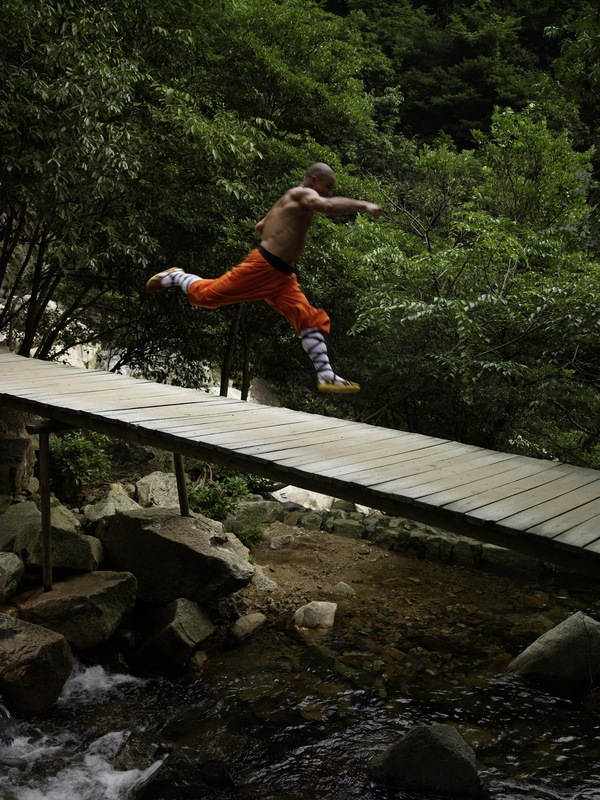 Your Shaolin Workout brings your body and mind in harmony. It’s only when your body and mind are working in harmony that you can feel truly energized and happy. We tend to be goal focused and driven in our work so it’s good to take the pressure off when it comes to your workouts. Use your workout as a time to tune out of your daily life and tune into your body. Each of your workouts gives your body a different experience. There is the challenging anaerobic training from the Kung Fu Workouts, and the internal balancing Qigong Workout. As you move through these different workouts be aware of the different energy-producing states and what effect they have on your mind and body. What do you feel when starting the workout? How do you feel when you’ve finished? The Buddha said that it is our mind which makes the world. 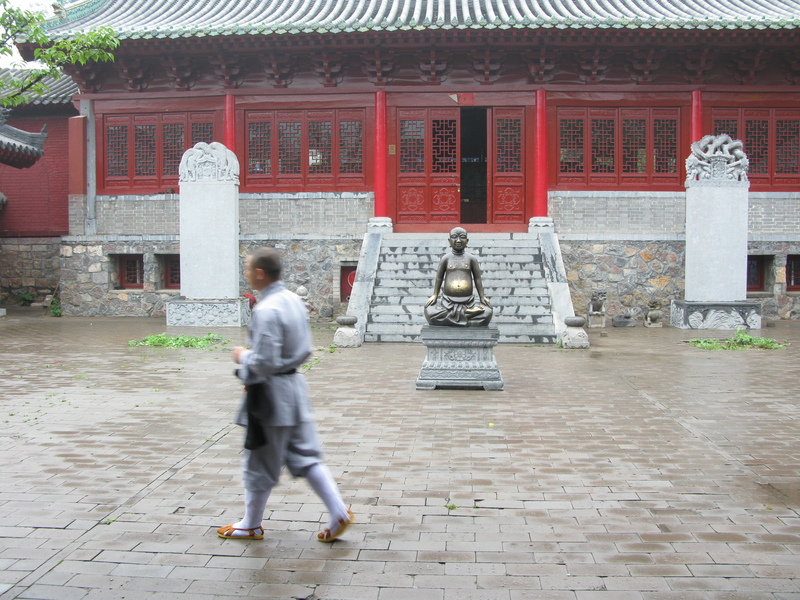 When I was young boy at the temple I had the arrogance to disagree with the Buddha and think he was wrong! But now I realize that he is exactly right. We can be in the most beautiful place in the world but if our minds are angry or depressed then we can’t appreciate it. Our life is created by our thoughts. Thoughts can be trained just like muscles. Thoughts are energy so be aware of whether your thoughts are bringing you positive Qi or negative Qi. Tune into the positive and let go of the negative. If you spend most of your time in front of the computer then balance this out by wearing jade. Alongside Qigong, jade has been used for thousands of years in China as a powerful longevity tool. I know that the West doesn’t have this tradition but the Chinese believe that jade is a living thing that can give us positive Qi. Not only the stone itself but also the carving. When I’m not training I wear a jade Guan Yin. 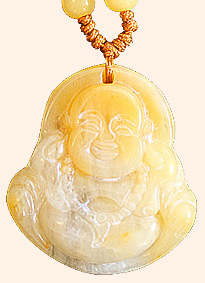 Authentic Jade is from the earth, it contains a life force of its own. But you don’t need to have blind belief. If you stand by a waterfall or on top of a mountain, you will feel very different than if you sit at your computer. I’m sure you don’t need me to tell you that a computer does not give us longevity energy! These are four simple steps to increase your energy. Take one step each week and then by the end of the month you will have taken all of the steps. Remember, when you improve a little each day, eventually big things occur.